Magic Carpet Cleaning offers wide range of services in Croydon CR0 or CR1 such as stain removal, upholstery, rug and carpet cleaning at very affordable rates. Get in touch with our cleaners if you are looking to get rid of dust and dirt attached to the carpets and upholstery of your home or office. We guarantee a clean of excellent value and results that will satisfy even the highest expectations of our customers. 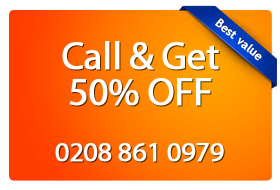 Get your free quote and learn more about our latest deals by calling 0208 861 0979 or simply use our booking form below. Why Choose Magic Carpet Cleaning? Our carpet cleaners use the latest detergents on the market that are completely safe for your children and pets. We lead a policy of transparency in dealing with people who have decided to entrust us with the hygiene of their homes. We do not resort to hidden conditions and fees. We provide the most highly efficient approach to cleansing after the last trends in our professional field. Our teams are trained to remove even the old dirt from your house. We offer a 100% guarantee of quality because we work until you are satisfied with the result. We inject chemicals under high temperature with professional cleaning equipment. Then our cleaners use hot water extraction method to vacuum the liquid off the contaminated tissues. This also disposes microbes living in the rug. This treatment method is suitable for families with children and allergic people. Our cleansing specialists have all the necessary knowledge and skills to sanitize your home or office via Steam Carpet Cleaning! 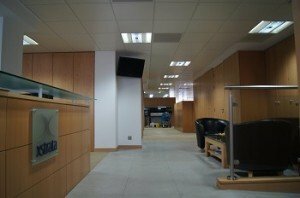 If you wish to refresh your office, we suggest you take advantage of Dry Rug Cleaning. The method is suitable for shops and places frequented by many people. It does not require drying time of the tissues hence visitors do not have to wait. We use chemicals in powder form, 98% biodegradable, which are rubbed into the carpets, then are vacuum up along with the dirt. The lack of water or steam prevents mold and protects the delicate fabrics. All of our cleaners are certified to work with chemicals of diverse origin – acid, alkaloids, etc. Our teams work hard to remove stains from your house or office. They achieve optimal results using our high-tech cleansing equipment. We are specialized in washing fabrics of natural and artificial nature, removing coffee spots, traces of pet urine, wine, food, chewing gum, chocolate, etc. Magic Carpet Cleaning offers a complete transformation of the house, you only need to call 0208 861 0979! If your residence, office or shop is located in Croydon CR0 CR1, look for the best specialists in the cleanness of Magic Carpet Cleaning at: 0208 861 0979. We promise you will get the best service in London and the dirty job done perfectly done by the best professionals!